Contrast check patch pocket at chest. 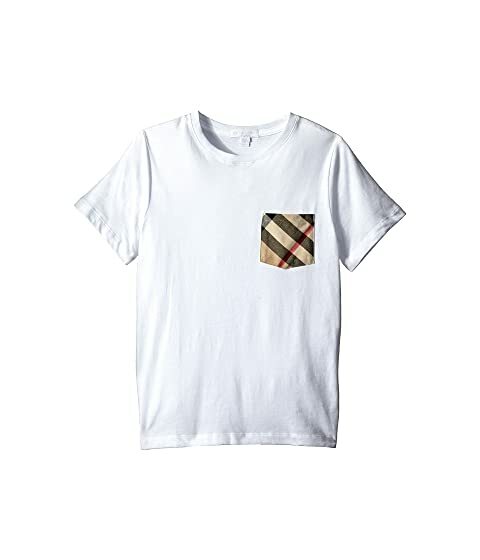 We can't currently find any similar items for the Pocket Check Tee (Little Kids/Big Kids) by Burberry Kids. Sorry! I definitely loved this shirt on my son the quality was great!!! It originally said order a size up cause they run small but it was a little big but hey that’s no issue more room for him to grow in it!! !